During my day job I’m mainly involved in mobile applications which often (like in always…) have to communicate with a backend that provides data and other services to the mobile app. The backend often needs to be more then a mere database gateway and is often extended with additional features which enables a rich mobile app experience and integration to other systems. These services change over time and when the app is successful are required to offer ever more functionality. Microservices is a new buzzword in town that comes with praises which allow a system to grow without slowing down the development and further allows for better fault tolerance due to it’s distributed nature. Building Microservices is a book written by Sam Newman which covers the ideas and concepts behind microservices and gives an introduction into the challenges of monolithic systems and how microservices try to solve the demands towards todays services. The author assumes that the reader has a general understanding of application and service development. The author goes through great lengths to ensure the reader gets a general understanding of how services can be created and what the ideas are behind their designs. Thereby he highlights what the benefits and downsides are for each system. The reader is led through many different aspects of designing a microservice from communication protocols, datastorage even company culture which boosts the design of microservices are described in the book and introduce the concepts and patterns on which microservices are built on. This chapter gives a basic introduction into the topic and introduces the idea behind microservices. Also explains why microservices are no silver bullet. Explains the role of an architect when having a system created of microservices. Defining boundaries of services and how this effects the data model being passed in between. This chapter takes input from Domain Driven Design and explains how these could be implemented in a service i.e. why they should be considered. Explains how services can be integrated together. How one use different technology stacks for different tasks at hand without creating an error prone system. This chapter shows how existing applications can be split up into microservices. The author generally advises to first start out with the monolith and only when the demand for microservices arises should the system be pushed into that direction. Having multiple services comes with a larger complexity when it comes down to deployment. In this chapter you see how to automate as much as you can for your services leaning heavily on Continuous Integration and Continuous Deployment methodologies. This chapter shows how to automatically test your services with tests that go beyond unit tests. It introduces the concept of load tests. Further explains why system wide tests are not as useful as one would hope due to their brittleness and how to replace them with more modular tests. This chapter shows how to effectively monitor multiple services deployed on multiple instances and what are the key metrics you should implement into your services. Perhaps one of the most important chapter shows the challenges faced when developing a service and how to secure the systems. It provides information on what are the current industry standards which you should use and how to manage data. Core take away: do not write your own security software - unless you are a security expert. In this chapter the idea of Conway’s law is applied to microservices and highlights how team organization will impact the design and architecture of your system for better or worse. These are backed up with some real world examples of companies such as Netflix and Amazon which went with the microservice design approach and built their teams/company culture accordingly. The final chapter goes over the principles of microservices and gives a reminder when to not use microservices. Generally speaking this book covers a lot of topics within 280 pages and the author does a great job in building up the knowledge of the reader. So much that I every time a new chapter started I found myself wanting to know how this additional puzzle piece fits into the picture. One notices while reading the book that the author has had a lot of real world experience and shares his insights throughout the book and giving hints on where to dig deeper if you ever need or want to do so on a given topic. This book gives you a conceptual overview and stays clear of diving into technical solutions (though you will find links to notable libraries, frameworks etc. throughout the book) but explaining concepts on how to solve certain problems that occur in highly decoupled and distributed environments. The book therefore is not bound to a certain technology stack or development language. 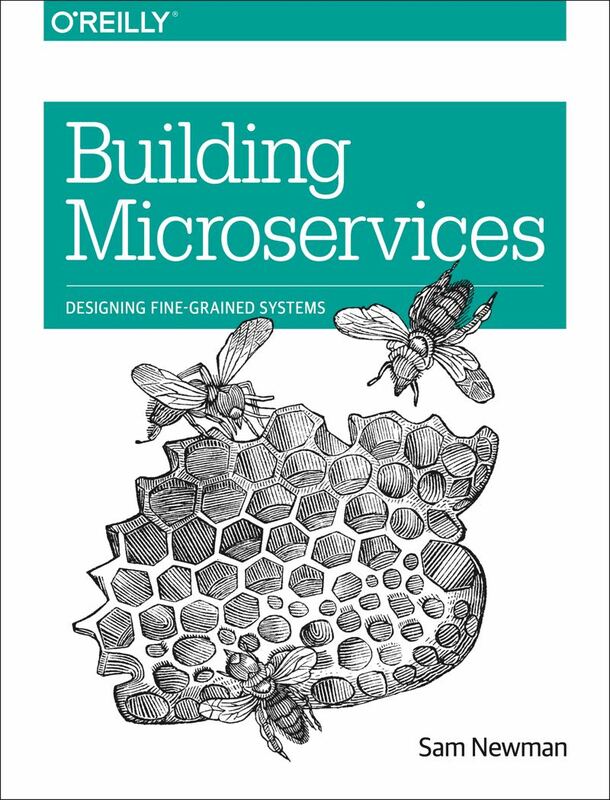 If you are looking for a book that gives you a general overview of the topic or are looking for a book that gives you an introduction into microservices I can only recommend this book to you and hope you will enjoy reading it as much as I did. Small Remark: I read this book on my Kindle and the formatting was flawless. Step one is usually done by creating a new Solution in Visual Studio which automatically adds the gitignore file according to my C# project which is very helpful to not ending up committing the bin folder and the NuGet package binaries. After finishing my solution I go to GitHub and create a new repository, in the setup process you can add a License file and a blank readme. You could also add the gitignore at this step but as some of my code gets thrown away as it is of no use I tend to first start locally and then push the solution once I feel it has some value to add. Ever had the need to correct multiple filenames? The following command will allow you to replace the substring and insert another string (or just replace it with an empty string) if needed. I got a Surface 3 Pro recently and I really love the fact that I can use it as a tablet and as a normal Laptop but am not bound to carrying two devices with me. One problem I received was after installing Visual Studio which installs and activates Hyper-V automatically. Hyper-V disables the connected Stand-By mode on your Surface. No problem there but that connected stand-by is also your sleep mode and living without a sleep mode on your tablet is a real pain point. You will have to run each command in an elevated powershell as admin. Simply open Powershell rightclick on the Taskbar icon and select Run as Administrator.